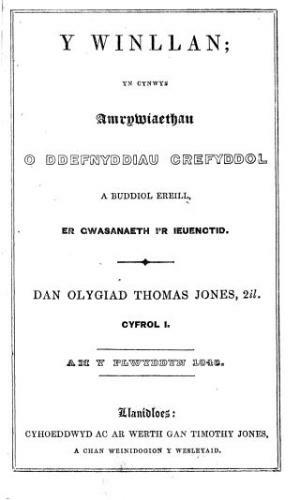 A Welsh language religious periodical intended for Wesleyan Methodist Sunday school children. The periodical's main contents were articles on religion, foreign countries and the natural world, biographies, poetry, songs and competitions. Originally a monthly publication it was published bimonthly from 1961 onwards. Amongst the periodical's editors were Thomas Jones, John Hughes (Glanystwyth, 1842-1902), Edward Tegla Davies (1880-1967) and Evan Roberts. Associated titles: Antur (1966).